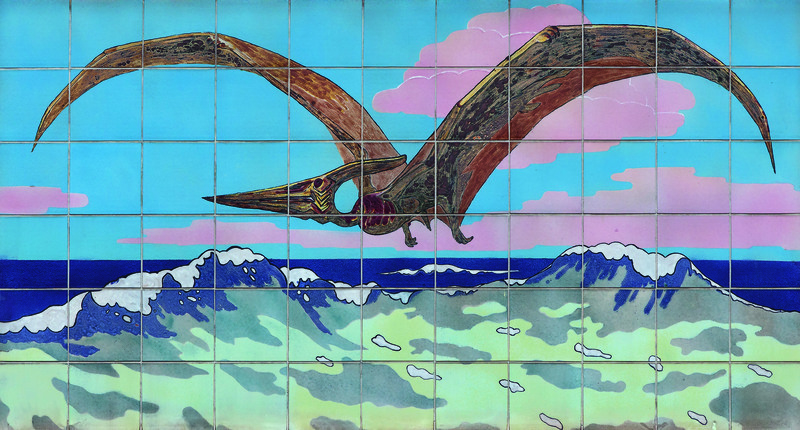 Heinrich Harder, Pteranodon. Reconstructed by Hans Jochen Ihle, 1982. The story of dinosaurs fascinates most children—you probably think you remember the outline. The Mesozoic era saw the periods Triassic, Jurassic, and Cretaceous. The first humble dinosaurs appeared approximately two hundred and forty million years ago, in the Late Triassic. Their ancestors were only as big as house cats. Pangea, meanwhile, had begun “to unzip down its middle,” as Brusatte writes. Continents “bleed lava” when they rend, and volcanoes resulted from the gnarliest of cracks, called fissure vents. Over the course of six hundred thousand years, in pulses, the rift zone threw up orange-red curtains “from hell.” Gases rode up with the flow and warmed the globe to the degree of an extinction event in which thirty percent of all species faded out. The continents continued to drift in an “ancient divorce,” and with thin competition from other vertebrates, dinosaurs diversified in wild shapes and sizes. By the mid-Jurassic, they were everywhere. They ruled. Extinct Animals, after Philip Henry Delamotte, 1854. Then, sixty-six million years ago, in the Late Cretaceous, they quite suddenly disappeared. North of seventy percent of species were lost in the fifth mass extinction. Over the years, bunk theories about what damned the dinosaurs suggested cataracts and an out-of-control appetite for each other’s eggs, but scientists also considered an extraterrestrial kill shot—perhaps a comet. Maybe an asteroid. In 1980, Alvarez, the physicist who would pan paleontologists, and his son Walter, a geologist, identified a spike of the rare platinum-like metal iridium in the stratum that dates to the die-off: the smoking gun. Next, a crater with a one hundred and ten–mile diameter was observed beneath the Yucatán Peninsula: the bullet hole. From Dinosaurs by Design (1992). I sort of did. I had attended a Pentecostal prep school in Florida which taught that man walked with dinosaurs. “Behold now behemoth, which I made with thee,” Job 40:15 begins. The animal “moveth his tail like a cedar,” scripture continues. “His bones are as strong pieces of brass; his bones are like bars of iron.” Dinosaurs were among the original beasts in the Garden of Eden, and that meant Noah would have dutifully brought them on his ark—in egg form (how he knew which eggs were male and female was never explained, of course). We’d had a visit from Duane Gish, a notorious Young Earth creationist with a Ph.D. in biochemistry from Berkeley. The Gish Gallop, the tactic by which a debater overwhelms their opponent with verbose, zig-zagging untruths, is named after him. When he claimed a scientific team was out looking for the Loch Ness Monster, part of a surviving shoal of elasmosaurs, I was spellbound. After assembly, I bought Gish’s children’s book on the subject, Dinosaurs by Design. I loved the book too much to ever junk it later on. 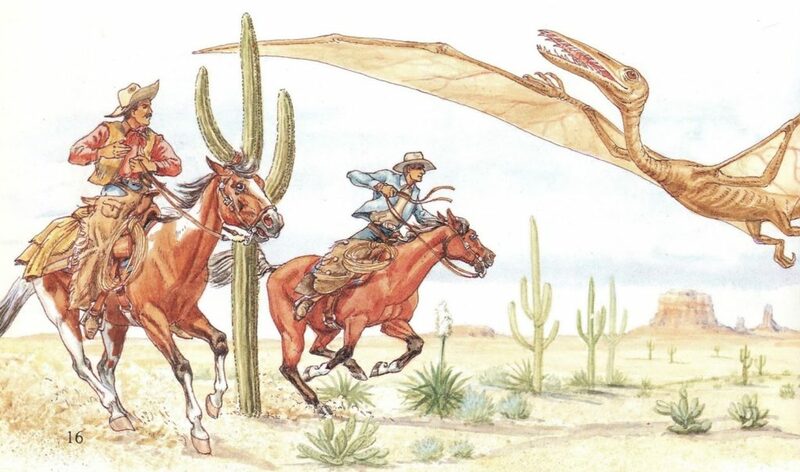 Among other gems, the book contains an illustration of cowboys roping pterodactyls in the American West. It seems to me now a fabulous reflection of our country’s brand. It also speaks to our struggle to live with the ramifications of the fact that the planet is very old and we humans are very new. 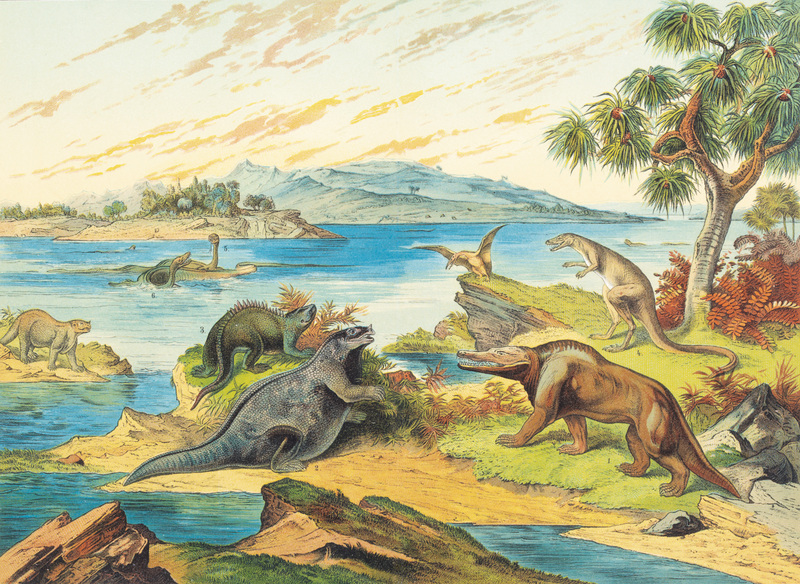 Ideal Landscape of Cretaceous Europe, unknown, c. 1886. Around 300 BC, the historian Chang Qu wrote of “dragon bones” found in Sichuan. His is the first record of dinosaur bones in human hands. In 1676, a naturalist named Robert Plot logged part of a thighbone from Oxfordshire with “dimensions, and a weight, so much exceeding the ordinary course of nature” that “it will be hard to find an Animal proportionable to it, both Horses and Oxen falling much short of it.” Plot included drawings, another first. 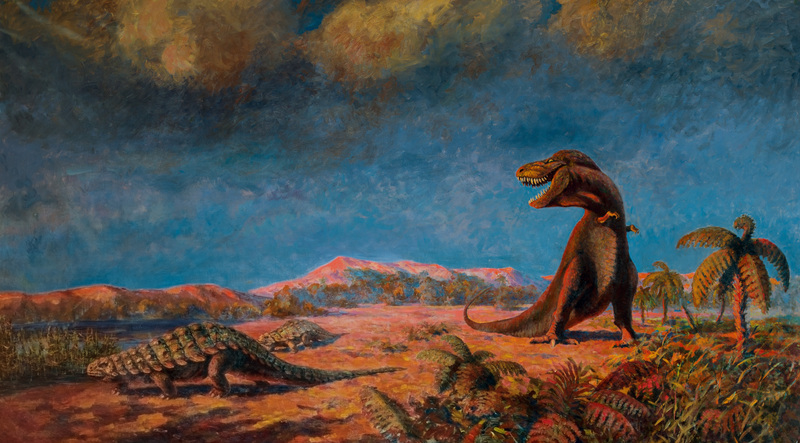 He credited the femur to a giant the likes of Goliath or the big brute in the Cornish fairy tale Jack and the Beanstalk—but the thing was a megalosaur. Following the Great Exhibition of 1851 in London, its famed glass expo building was converted into the world’s first theme park for mass entertainment. Among the draws on the two-hundred-acre grounds was a prehistoric swamp with dinosaurs created from tiles, bricks, and cement: the first full-scale models. On New Year’s Eve, 1853, as a stunt before the June opening, Owen hosted members of the British Association for the Advancement of Science inside the mold for the iguanodont. A chandelier glinted above curried rabbit while Owen sat in the brain area of “the jolly old beast”—at the head of the table—and the men toasted the dinosaurs and H.M. Punch magazine ran their story with the headline “Fun in a Fossil.” The finished menagerie caused the first wave of dinomania; park goers could score figurines of dinosaurs in what may have been the world’s first gift shop. Later, the Crystal Palace would burn. “This is the end of an age,” Churchill pronounced when he heard. But in a twist of fate, the dinosaur sculptures survived. Some were restored for visitors in the aughts—others still languish in disrepair, awaiting sufficient funds. After the theme park opened, in 1954, Charles Darwin dedicated himself to drafting On the Origin of Species. Though torn between faith and science, and allergic to public fights, he published in 1859. The initial run sold out in one day. Owen spat on Darwin’s notion of natural selection. “Believe me,” Darwin signed off in a letter to Owen that year. Modern answers to antique questions were stacking up, and while he did not train his pen on dinosaurs, they were already a once-upon-a-time plot with serious reverb. Alexander Mikhailovich Belashov, Detail from Tree of Life, 1984. Back in 1898, the steel tycoon Andrew Carnegie spotted news in the paper: “Most Colossal Animal Ever on Earth Just Found Out West.” He clipped the item and posted it and a cheque for ten thousand dollars to the director of the Carnegie Museum of Natural History, with a note: “My Lord—can’t you buy this for Pittsburgh—try.” By 1901, the Carnegie Museum had named Diplodocus carnegii, a sauropod with a horizon-long neck and tail. Soon, Carnegie began to gift casts to national museums in Latin America and Europe, making the dinosaur, the museum points out, “the first that millions of people ever saw.” The inaugural copy went on view ahead of the original, in 1905 at the British Natural History Museum, where it was quickly given a pet name: Dippy. 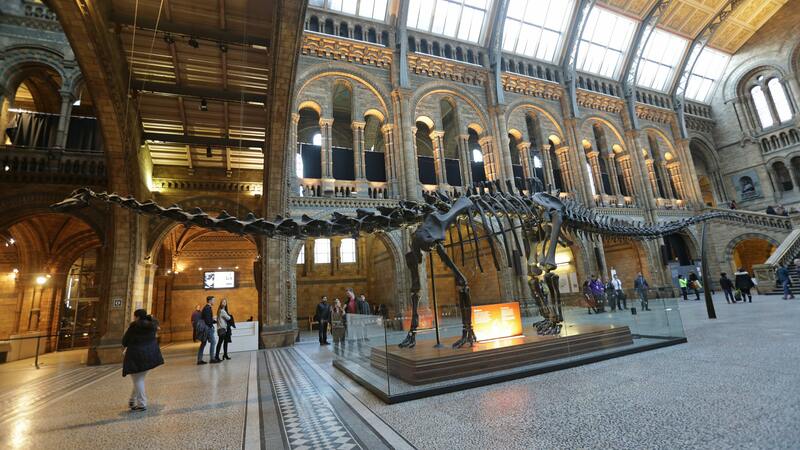 Dippy, the diplodocus, in London. Like other national history museums, Paris’s Muséum national d’Histoire naturelle, established in 1635, grew out of the continental Wunderkammer. Their Paleontological Gallery opened around when Carnegie’s dinosaur was being excavated, and, in 1908, the hall received its own Dippy. 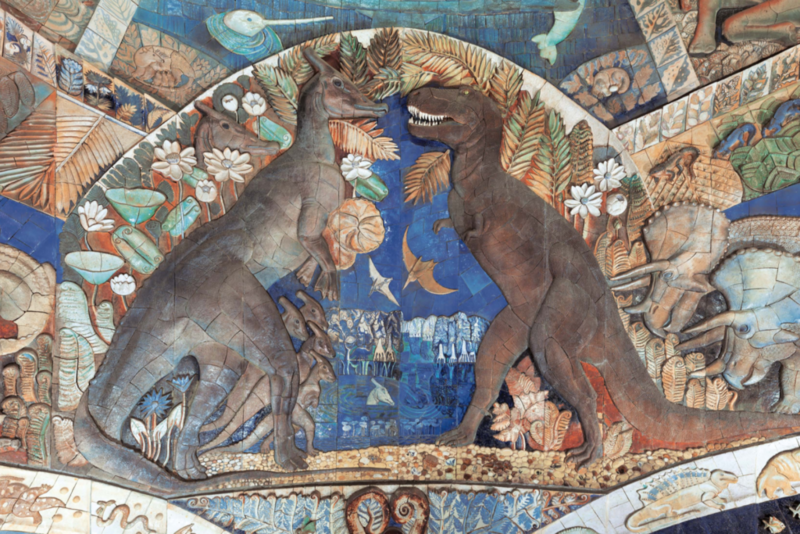 That day in June, French president Armand Fallières dedicated the mount in front of the public and scientific community; the sight of the more than sixty-five-foot dinosaur, though, was overpowering. “Quelle queue! Quelle queue!” (“What a tail! What a tail!”) Fallières managed. 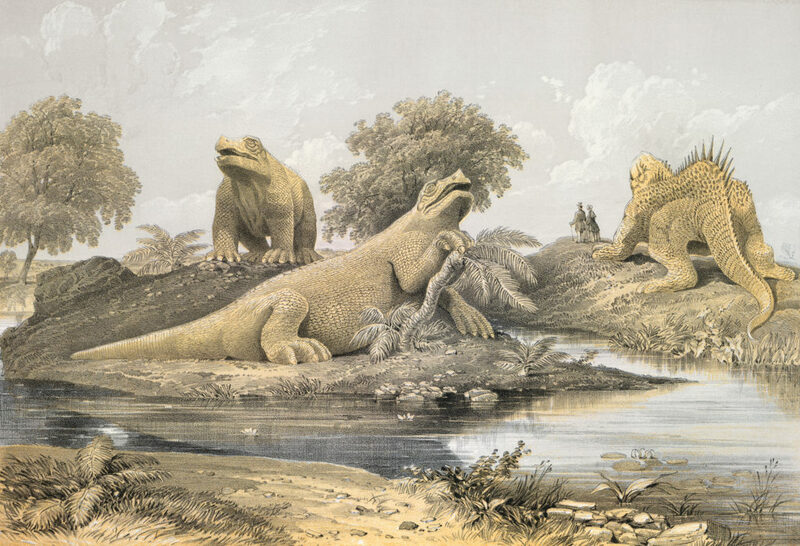 “Diplodoquoi … Diplodocoquus … ” He stammered. Anyway, Dippy’s star turn was over seven years later. The Yanks produced T. rex. Trix stands thirteen feet tall. She is the color of toasted marshmallows and the texture of driftwood. She was posed in an open-mouthed lurch—with her tail extended, for balance. Her mouth was open as if to swallow the info an au pair was feeding to her charge: “Trix is about seventy-five percent complete. 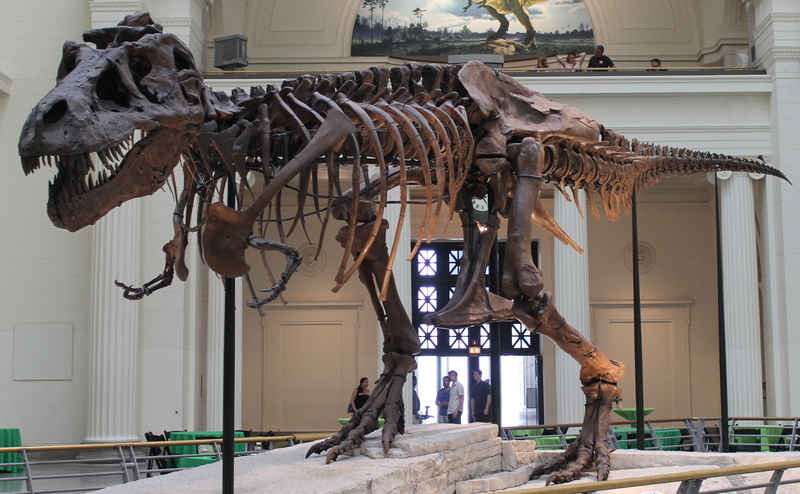 But another T. rex—Sue—is even closer!” Ninety percent of Sue is all there. “You met in Chicago, do you remember?” The caretaker asked the kid, who was standing with an iPhone in the zone the museum recommended for selfies. Sue is darker than Trix. She is more worn brown leather jacket. (“Fossils present with the quarks of whatever minerals took over the bone,” Brusatte explained. “Opalized fossils have come out of Australia.”) McDonald’s and Disney got together in the nineties to buy Sue at auction for the Field Museum. She was put on display in 2000. I was twelve that summer, and I went to the Field. Where the uncertainty surrounding Y2K had filled me with dread about the future, the mystery of the past left me in awe. The sentiment is catching. Last year, London’s Natural History Museum replaced Dippy with a skeleton of a blue whale, an animal very nearly hunted to extinction in the sixties and now deemed more “relevant.” They named her “Hope.” It was a controversial move. Brusatte appeared on live television with the marine biologist Helen Scales. He was meant to take Dippy’s side, she was meant to take Hope’s, but both told me they agreed on the newcomer. And yet, dinosaurs are unrivaled mementos, “picked up, looked at, and pondered over,” as Williams put it. Such is the perspective from the Anthropocene: five major extinctions later, we’re in a self-inflicted sixth. We don’t generally think of our selves as living in deep time, and because of that Keller has said, a gradual doom like climate change does not really impress. 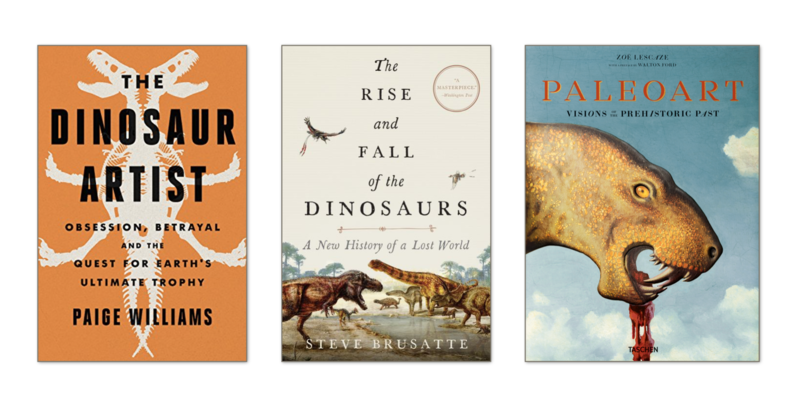 Our lifespans are “so short,” added Brusatte, our attention spans are “so fidgety” that we are unable to appreciate temperature and sea-level upticks “over even a few years.” We worry about the immediate, like the doom that befell the dinosaurs. We worry that our home is due for a supervolcano blowup or an asteroid strike. Or that we will nuke ourselves. Recently, The New Yorker posted a cartoon of Back to the Future’s Michael J. Fox and Christopher Lloyd ensnared in the DeLorean between the teeth of a T. rex. “Yeah, whatever,” says Lloyd. 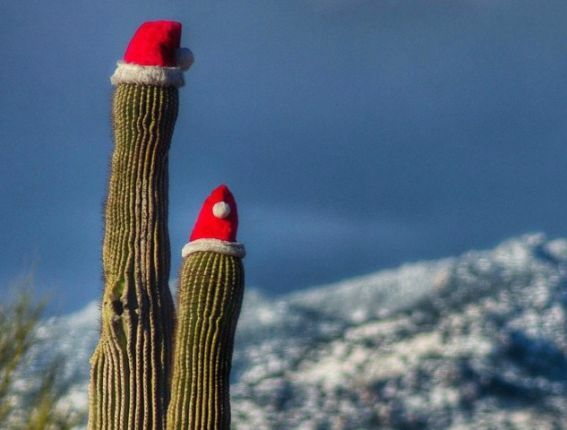 “At least we got the hell out of 2018.” Many humans retweeted it. So did Sue.